Star is sadden by loss of long time member Ken Danko from Kensington, Ct. Ken has been a member of Star from the day Star opened in 1999. We are sad to loose such a good member. Ken use to pilot the beautiful #52 coupe. Star sends out their condolences to the entire Danko family at this time. 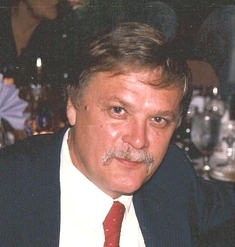 Kenneth George Danko, 65, of Kensington, passed away Thursday (May 8, 2014) after a brief illness. Born July 16, 1948, son of the late John and Jennie (Pac) Danko, he had been a lifelong Kensington resident. He was also a parishioner of St. Paul’s Church. Ken is survived by his girlfriend, Diane Howard, a brother, Richard Danko and his wife Sandra, a niece and godchild, Cheryl Kaminsky (John), 6 nephews, John (Lori Ann), Richard Jr. (Tina), Jeffrey, David (Lori), Christian (Krista), and Mark Danko. He is also survived by 15 great nieces and nephews, aunts, uncles, and cousins. The family would like to extend special thanks to neighbors and friends, Dr. Vincent and Carol Ringrose for their kindness, support, and help during this time. Ken enjoyed racing stock cars, watching NASCAR, the NY Yankees, New England Patriots, and UCONN basketball. He was a member of the New England Antique Racers and Senior Tour Auto Racers. Funeral services will be held Thursday (May 15, 2014) at 10am from Porter’s Funeral Home, 111 Chamberlain Highway, Kensington, with a funeral liturgy at 11am at St. Paul’s Church. Burial will follow in South Burying Ground, Kensington. Friends and relatives are invited to call at the funeral home on Wednesday (May 14, 2014) from 4-7pm. In lieu of flowers, donations in Ken’s memory may be made to the charity of one’s choice.